With over 24 years of experience in Vietnam, Mr. Ryoichi Nakagawa and BTD have advised and supported the successful development of many industrial zones invested by Vietnamese investors. With more than 150 Japanese investment projects implemented in these industrial zones, it affirms the the success of Vietnamese investors in the development of industrial zones which meet requirements of Japanese investors. Advising about development of industrial zone infrastructure which meet the requirements of Japanese investors and financial capacity of Vietnamese investors in infrastructure development. Supporting in investment promotion in Japan and Vietnam to advertise industrial zones. Advising and supporting in closed procedures of establishing investment projects and enterprises for projects of investors in industrial zones. Advising and supporting in improving industrial zone infrastrucure services matching needs of Japanese investors. Performing functions of transaction office, representative office in Japan of industrial zones. 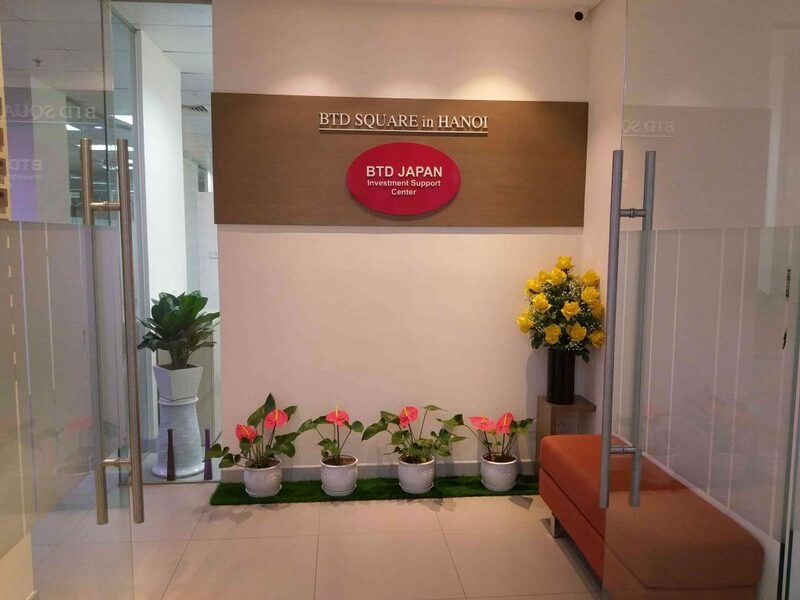 In addition to supporting activities for development of industrial zones, BTD also coordinates with some Japanese agencies and organizations to provide consultancy and support for some investment promotion activities for several provinces/cities of Vietnam in Japan and/or in Vietnam. Dong Van III Supporting Industrial Zone. Dong Van II Industrial Zone. Thach That – Quoc Oai Industrial Zone. Hanoi Dai Tu Industrial Zone.